Sébastien Ogier celebrated a two-tenths of a second victory in Jordan by smiling down on everybody in 2011. Marcus Gronholm pulled a most out-of-character face as he celebrated from the top of his Ford Focus RS WRC when he edged Sébastien Loeb by 0.3 seconds in New Zealand 11 years ago. 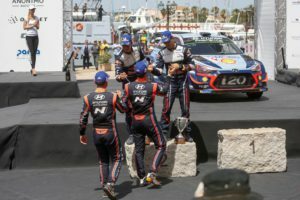 So, the wild delight Thierry Neuville showed moments after his seven-tenths of a second success in Sardinia had its confirmation is understandable. That he’d beaten the master, the five-time champ, was just cause for that face full of delight. But this was more than a single winning round of the championship. This was the moment he further extended a lead already bigger than an advantage anybody has opened over Ogier in the last five years. Psychologically as well as physically, this was a huge step towards the ultimate dream. The headline number is the 27-point advantage Neuville holds after round seven, but what about the finer details? – Of the 128 stages run in total so far this season, Thierry has won 29 compared to 19 for his main title rival (incidentally, neither has the most stage wins – that’s Toyota driver Ott Tanak on 31). – Sébastien is 10 short of his rival in terms of individual stage wins. But he’s led for 20 more of those 128 2018 World Rally Championship stages than Thierry. Ogier’s 54 plays 34. 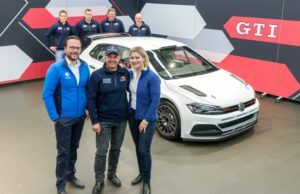 – As well as his stunning stage-win record, Estonian Tanak is the only other driver to have won a round of the World Rally Championship this season – Thierry and Sébastien have shared the other six between them. Three from seven is not, however, too spectacular for Ogier. His record is nine victories from 13 starts in the 2013 season, while Thierry managed four from a similar number last year. – In terms of first-half WRC wins, Ogier outshines Neuville, with the former bagging five from seven in 2014. The Hyundai man did two from seven in 2017. – Ogier’s failure to pick up a single point in Portugal last month hit and really hurt the Frenchman. That no-score slashes his average points take per round – Sébastien’s mean tally per rally is 17.42 while Thierry’s is a healthier 21.28 from a possible 30. – Neuville has scored on every rally and picked up five podiums compared to Ogier’s four. 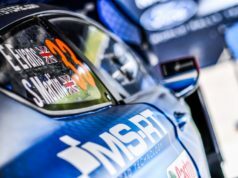 – On event points alone (discounting the bonus points from the Power Stage) Neuville can afford to finish second to Ogier on the next three rallies and still be ahead. – Talking about the Power Stage bonus points, Neuville has averaged 3.28 from a possible five. Ogier has only picked up 2.28. Although that figure would have been 2.85 had he not lost his Rally Mexico bonus for clipping the chicane in the Power Stage. 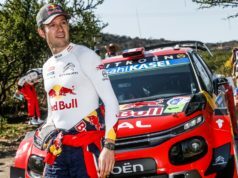 – Looking at the events still to come – and this is the bit where Ogier fans will take heart – the defending champ outscores his rival by 14 wins to two in Finland, Germany, Turkey, Britain, Spain and Australia.